Múlafossur Waterfall - Located on the island of Vágar, just 30minutes drive from the Airport, this was the first stop of our trip, and one of our very favourites. You will park at the nearby village of Gásadalur which is also worth a wander around, and has a cute little cafe. 2. Lake Sørvágsvatn - Also known as Leitisvatn or the Illusion lake. 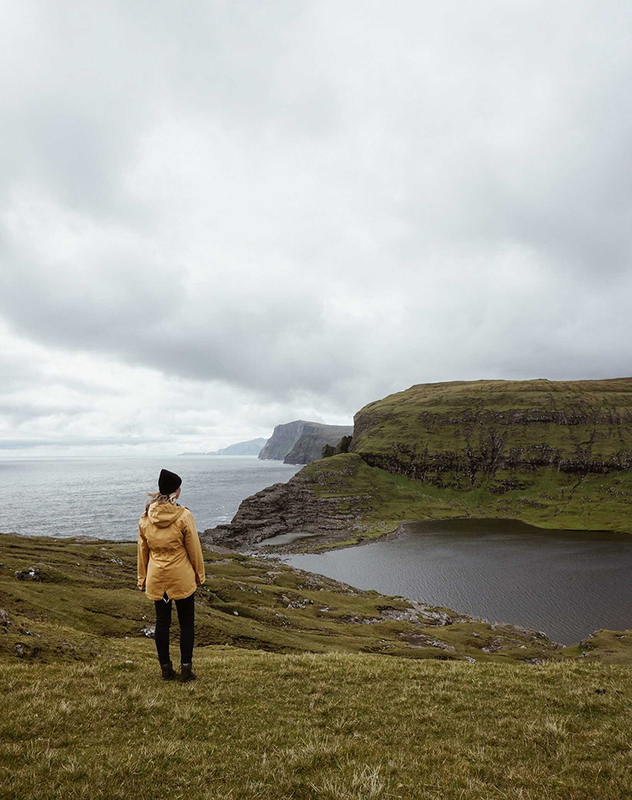 Just a 10minute drive from the airport this is largest lake on The Faroe Islands and offers one of the easiest and most beautiful walks in the country. 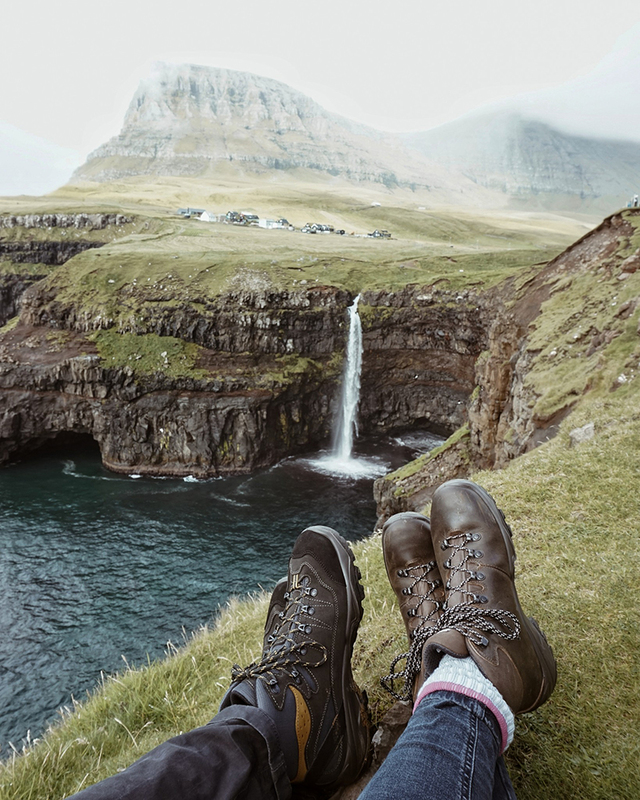 The hike starts from the nearby village of Miðvágur and takes around an hour each way (depending how often you stop for photos!). You’ve probably seen shots online showing the angle where the lake almost looks like its floating above the ocean, but be warned that it’s quite a dangerous path to this vantage point. So be extra cautious at the cliff edges, especially in any wind or rain and remember to respect the land (and the sheep) and stick to the paths. 3. Bøsdalafossur - The waterfall at the edge of Lake Sørvágsvatn. Another beautiful spot to see during a hike around the lake, and slightly less precarious to reach! 4. 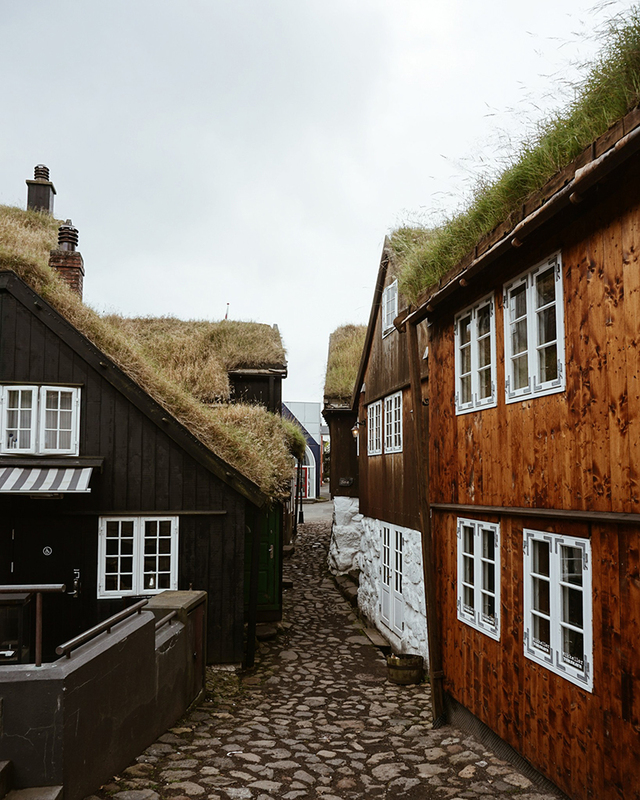 Tórshavn Harbour- The capital city is often overshadowed by the sheer natural beauty of the Islands, but this little harbour town is worth your time. 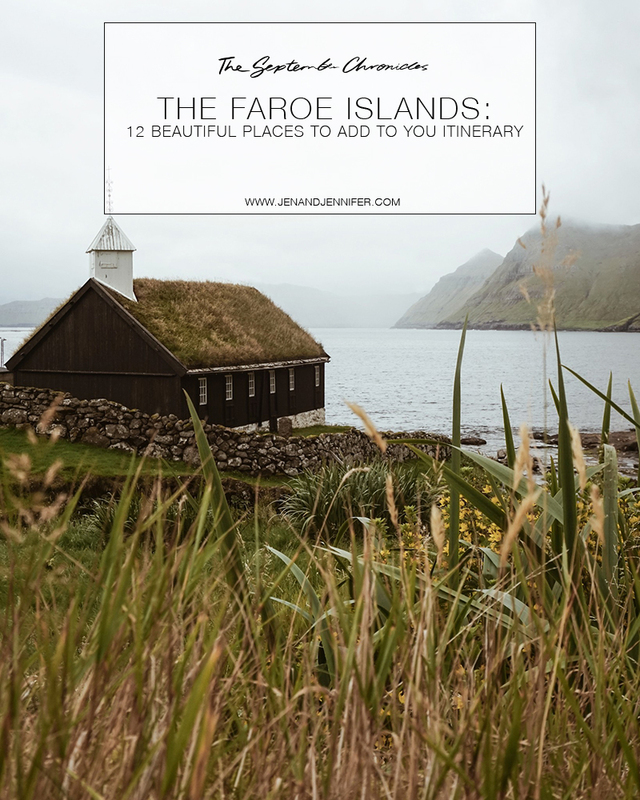 It’s home to most of the restaurants and shops on the Faroe’s and serves as a great base for your trip. 5. Tinganes - While you are in Tórshavn, make a bee line for the historical area of Tinganes. Translating as “Parliament Jetty” this is grass-roof house heaven, and happens to be one of the oldest Parliamentary points in the world. 6. 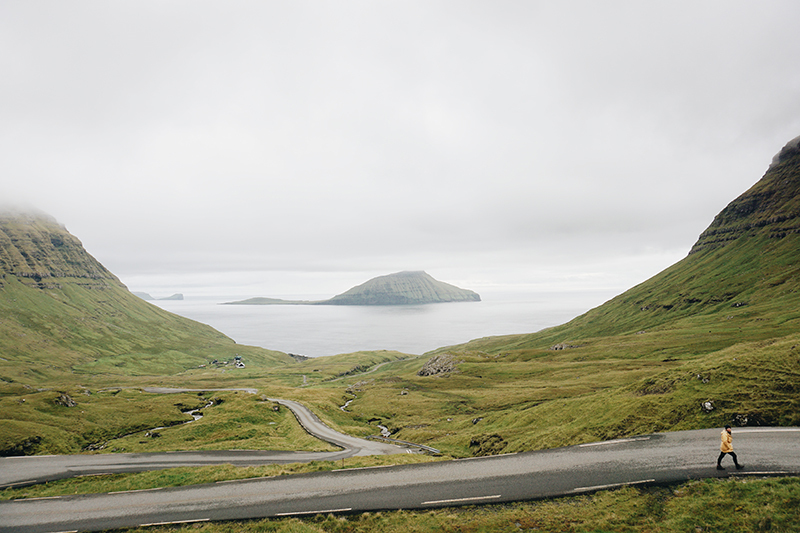 Norðradalsvegur - You can see this wriggle of a road on the way from the airport to Tórshavn. If you can drag yourself away from the view It also has some beautiful walks in the surrounding hills. 7. - The Village of Saksun - You’ll find this otherwordly spot at the end of a scenic one lane road on the island of Streymoy. 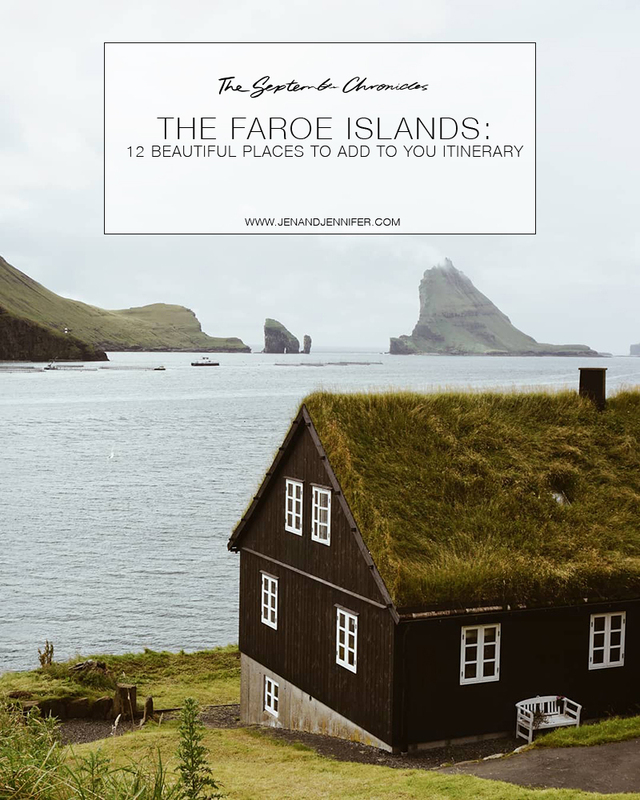 Overlooking a calm lake, you’ll feel as if you’ve stepped into a fairytale as you take in the grass roofs, church, wandering sheep and epic waterfall. Theres also a little museum and cafe here. Just remember to respect that these are people’s homes. 8. The village of Gjógv - The drive to get to this lovely village is worth a mention in its own right! We actually liked this place so much we visited twice! With a river running straight through the centre, it’s big enough that you can spend a few hours wandering around the houses, harbour and hillsides. Plus there is a hotel here which we would stay at if we ever returned to this corner of the world. 9. 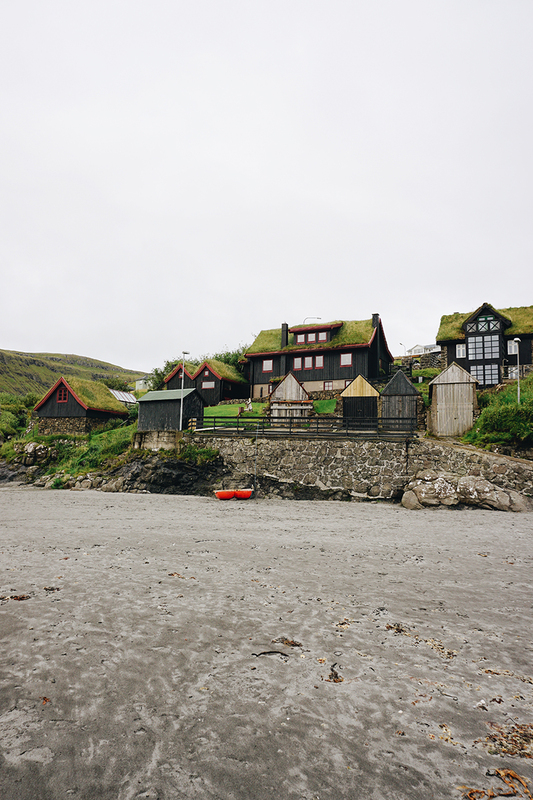 The Village of Bøur- A little spot between the airport and Gasadalur. Probably the first village you’ll visit after arriving. Due to the lack of trees, the dogs on the Faroes have learnt to play fetch with pebbles instead of sticks! Keep an eye out for one such friendly puppy here. 11. Funningur - find this spot just down the road (the very beautiful and scenic road) from Gjogv. 12. The Village of Funningsfjørður - We stumbled upon this beauty at low tide and have officially found our version of the perfect beach house.